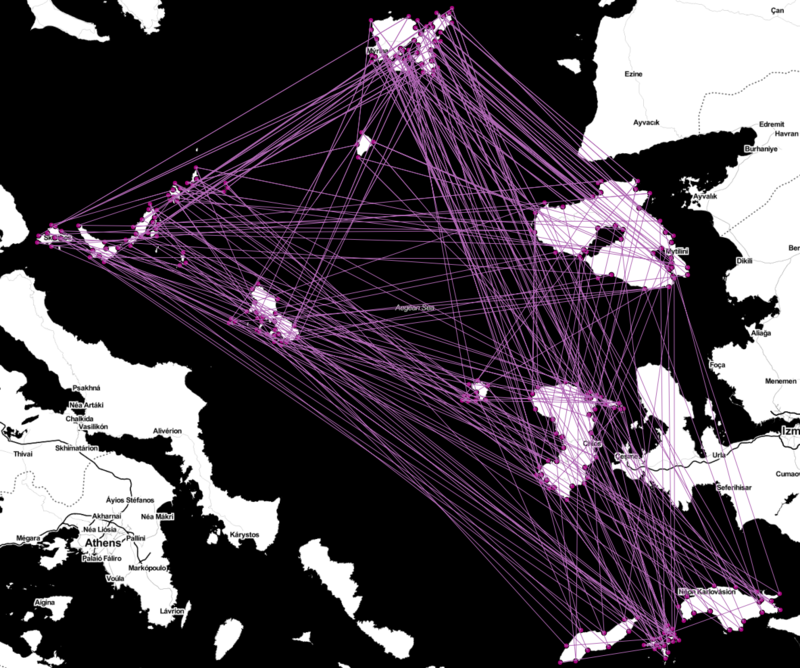 Well, does anyone has an idea how I could create multi-linestrings that represent the island in this case? There is no column or value to distinguish them. You can try kmeans-postgresql. For the installation you can follow this instructions. Kmeans is clustering point data, with a predefined so-called K integer (number 5 in the query). Nevertheless it would be difficult to get correct polygons, because of the irregular distribution of your points. Maybe you can combine the points and assign them a gid or something. You select all points within the polygon with gid = 1 first, then you make line out of them. However, this line is not closed. You can not magically create islands out of the points you have. Any algorithm will struggle, as even if you can work out a way to automatically separate the points into distinct islands, you wont know what order to join the points in. Unfortunately, I suggest that you manually create the islands. You can do this in QGIS with snapping to your points, so you'll use the right coordinates. But doing it automatically will be futile, I predict. also, to close off the line, you could get the top 1 point and union all it onto the end of your line, so that the line closes, maybe. Not the answer you're looking for? Browse other questions tagged postgis point linestring geometry-conversion or ask your own question. How to draw a line between two places with via-points? How to store data for gis system? How to insert data into postgis database table?